When it comes to high dollar diamonds, very slight differences in appearance (grades) can create HUGE price differences. For an example, let us compare two hypothetical diamonds. Let us assume both have been graded by GIA, and both are really well cut. The imperfection which constitutes a VVS1 is microscopic, yet it can cost the cutter $24,000 in this hypothetical example. To prove a D/IF is actually internally flawless, no dealer will accept anything short of a GIA report. What would a dealer pay for the same D/Internally Flawless Diamond prior to GIA grading it? Hard to say exactly, but surely the highest price a buyer might pay would be the price of E color VVS1. For this reason, cutters need to use GIA - there's a lot of money at stake. In my mind, there is simply no reason to risk buying a "high grade" diamond for market price, without a GIA report to back up the claims of the seller regarding the grade. When I say "high grade" that means top dollar diamonds. If we are speaking of colorless diamonds, I'm talking about I color and better - SI2 clarity and better. 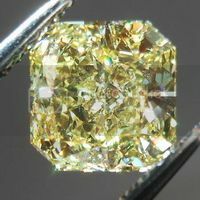 J-K colors, and imperfect diamonds are more commonly offered without GIA (or with lesser reports) But if we compare the prices of D and E above with a typical $8k K-L SI3 stone of the same size, it is easy to see why the presence of a GIA report means less. 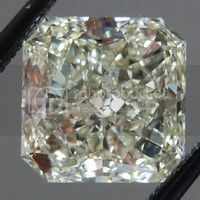 Now if it was a smaller stone with high color and clarity at $8000 - then it had BETTER have a GIA report. The main danger is the representation of a diamond with a lesser report as equal to a diamond of the same grade issued by GIA. 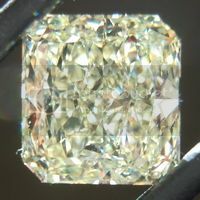 It is widely reputed that some of the non GIA labs are more lenient than GIA. 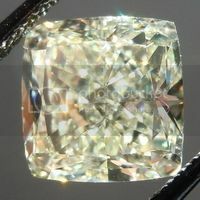 Some sellers may suggest that grades issued by one of the main non GIA labs is simply "one off". Their contention might be that an EGL G/VS2 is equivalent to a GIA H/SI1. That assumption overlooks the facts. Dealers won't use any such formula. Dealers will ONLY pay top dollar for any given grade, if that grade was issued by GIA. It seems that there is a problem with sellers that understand the difference between the labs purposely blurring the lines. Take a hypothetical diamond. Its legitimate grade is K/SI1. GIA gives it K/SI1. Another lab gives it J/VS2 (or I/VS2). If both dealers were charging the same price, a buyer unfamiliar with the information in this article might reasonably assume the guy selling the I/VS2 was less expensive. When the lesser reports are used in this manner, it smells like misrepresentation. After all, if the seller knows all this stuff- and we must assume that, as a dealer, they do- why not tell the buyer? If you go to sell any valuable diamond back to a dealer, their first question will be- "Is there a GIA?" Bottom Line: the best diamonds are sent to GIA by cutters and dealers throughout the world. Generally speaking, lesser diamonds are sent to lesser labs. If you are buying a diamond of substantial value, accept no less than a GIA. We deal in a lot of Fancy Color Diamonds. The cutter has a Fancy Intense Yellow which is one of the darkest I have ever seen - he feels it is a vivid - and it asking 20% above the price of an intense. I have not bought the diamond, but I understand why he feels the way he does. Since the grading if diamonds is really more of an art than a science, there are "borderline" diamonds which GIA might call - say VS1 one time - and VVS2 another. For me, as a trader, I live with this as a fact of life. 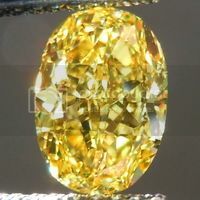 Say we buy a diamond from our cutter before it has a GIA report, and we think it is Fancy Intense Yellow - say it would sell for $20k. 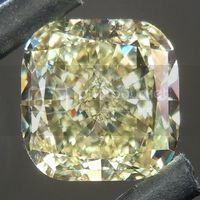 Say we send the diamond off to GIA who grades it Fancy Yellow - which sells for $15k - well, the diamond is now worth $15k. What if we sent it to JGL (Joe's Gem Lab) who gives it Fancy Vivid Yellow - is it worth more? 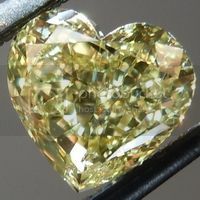 No, it is probably worth a lot less than the diamond with a GIA grade of Fancy Yellow. Bottom line again: On high dollar Fancy Colored Diamonds, accept nothing less than GIA. Many lighter yellows, and browns are commonly traded without GIA reports. Copyright Rock Diamond Corp - New York, NY, USA 2013. All rights reserved.